The Supreme Court in the coming weeks will issue a decision in the closely watched Janus v. AFSCME case, which could affect public-sector employees in 22 states, including Connecticut. The decision will determine whether or not public employees who opt out of union membership still have to pay fees to those unions for collective bargaining representation. Mark Janus, an Illinois state employee, is arguing that all government union work is inherently political and therefore he shouldn’t be forced to financially support a union as a condition of employment with the government. Barring any number of caveats the Supreme Court could impose, what would a decision in favor of Janus mean for Connecticut state and municipal employees? Nationally known labor attorney and senior fellow with the Mackinac Center for Public Policy in Michigan, F. Vincent Vernuccio, pioneered the 2012 right-to-work movement in Michigan. He offers his opinion on what a decision in favor of Mark Janus will mean for Connecticut. 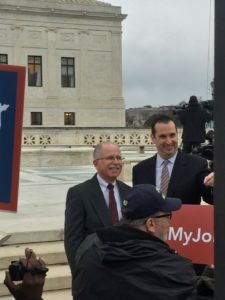 Q: What will a decision in favor of Mark Janus mean for workers in Connecticut? A: A decision in favor of Mark Janus and the First Amendment will mean that public employees across the state will have right-to-work rights, meaning unions cannot get them [public employees] fired for not paying them. Q: Fired how? Employees can already opt out of union membership and become agency fee payers. A: That’s correct, but without right-to-work or a favorable decision in Janus, paying a union is a condition of employment. They don’t need to pay the full dues and they don’t have to be a member of the union, but they do have to pay the vast majority of those dues — what’s known as an agency fee. What Mark Janus is arguing is that everything government unions do is inherently political and therefore no money should be forced to go to the union by a public employee. Q: Will workers lose their ability to collectively bargain for benefits and wages? Q: Doesn’t this give workers who opt out a free ride to piggy-back off the union’s collective bargaining work? A: They will continue to be “forced riders,” they will continue to be stuck under a union contract and represented by a union, whether they want to be or not. Because unions have a monopoly on representation in some workplaces, a worker who doesn’t want to be represented by the union has no other choice but to accept that representation. A more fair solution would be a concept known as “worker’s choice” that allows public employees to fully opt out of union representation and represent themselves. It gives workers the ability to say “no thanks” to representation and unions the ability to say “good-bye” to people not paying them. Q: Wouldn’t “worker’s choice” be better for the unions if the court decides in favor of Mark Janus? A: It would allow more freedom and flexibility for public employees and for the unions — if they are truly concerned about the free-rider issue. Yes, it would be better for everyone. Q: Will Connecticut workers lose their benefits as the result of a positive Janus decision? A: Right-to-work or a positive Janus decision will not affect wages, hours, working conditions, benefits — anything of the like. It simply means that a government union can’t get a public employee fired for not paying them. The current law — the SEBAC agreement for state employees and other agreements for local employees — will still be in effect, so nothing will change. Q: Michigan went right-to-work in 2012, how has that affected the state? A: When Michigan went right-to-work, the state enacted the Freedom to Work law for both private and almost all public employees [public safety workers were excluded from the law]. Thanks to the freedoms and pro-jobs, pro-growth aspects of right-to-work, Michigan has seen an enormous come-back. Unemployment plummeted even before things started to go so well around the country, property values sky-rocketed, jobs went up, wages went up. The economy was doing great, even before the national economy began to pick up steam, and that turn-around came, in large part, because of right-to-work and several other pieces of legislation which were passed around the same time. Q: But there are still unions in Michigan? There’s still collective bargaining in Michigan, correct? A: Yes. There is still collective bargaining in Michigan. There are still unions in Michigan. They can still negotiate over everything they could negotiate over before right-to-work went into effect. Q: Will the Janus decision affect unions in the private sector? A: No. The heart of the Janus case is that everything that government unions do is inherently political. So, if you think about it, government unions negotiate for higher wages; where did that money come from? It came from your tax dollars. They negotiate for something as mundane as school hours: what is that? That is public policy. So what Mark Janus is arguing is that everything that government unions do is inherently political. A favorable decision in Janus will give right-to-work to public employees around the country but it will not affect private sector unions at all. This is good news toward restoring the balance of power in Connecticut so that the unions do not continue to coerce our legislature (which means our taxpayers!) with unreasonable benefits and pay levels. Until recently, collective bargaining agreements between the government employee union and our legislature did not even have to get a formal vote of approval by the legislature before becoming law. I tend not to create many remarks, however i did a few searching and wound up here What could a Supreme Court decision in favor of Janus mean for Connecticut? 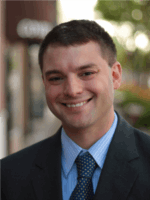 A conversation with labor attorney F. Vincent Vernuccio | Yankee Institute for Public Policy. The Democrats have reaped the “political gain” from the public unions for decades. They are joined at the hip. The outsize power of these unions has been handsomely rewarded by their Democrat patrons. In essence they have become the fourth branch of Connecticut government, at the enormous expense to the Connecticut taxpayer. Their most important contribution to the Connecticut economy – one to which they will never admit-is their role in its decline.